Trying to get inside the mind of a customer is a complicated thing. It requires that you really dig in and look beyond the surface level details for meaningful takeaways. While you’ll probably discover a lot, there’s one truth you’ll definitely uncover: customers crave personalization. If you study American customers in particular, their expectations are even higher for businesses. They expect personalization, regardless of whether they’re interacting with an eCommerce company or a brick and mortar business. The good news for businesses is that consumers are willing to work with you in order to receive personalized experiences. 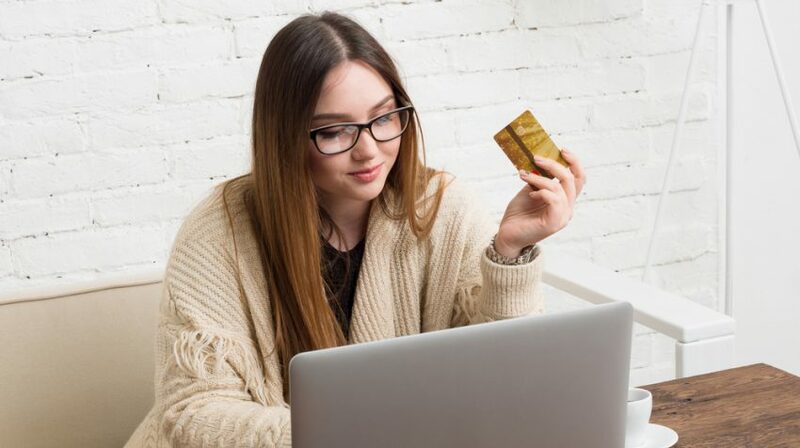 One study shows that 63 percent of millennial consumers and 58 percent of Gen X consumers are willing to share data with companies if it means receiving more personalized offers and discounts in exchange. The fact that shoppers want to help businesses help them is wonderful. It means you can satisfy your customers’ cravings for personalization in a cost-effective manner. The only question is, are you doing so? Sadly, most businesses are not. According to an infographic from Kahuna, a leading mobile marketing platform, 85 percent of businesses surveyed know that their audience segments are too broad, and less than 10 percent of “top retailers” believe their current strategies are effective. Roughly half of all marketers — 48 percent, to be exact — know personalization leads to more sales, but the majority struggle to use it effectively. The moral of the story is this: customers want personalization and are willing to help you improve in this area, but it’s up to you to take action. If you can do so, you’ll enjoy a lot of success in the coming years. The gap between knowing that customers want personalization and actually giving them personalized service is clearly large. It’s actually fairly simple to get started, though. Let’s take a brief look at some ideas and principles you’ll find valuable. There’s something to be said for mass production. It’s the reason why people visit McDonald’s for a burger and fries. They know that, regardless of whether they’re in Indiana, California, or the U.K., the meal will taste the same. It’s also the reason why customers stick with the same brands when purchasing things like deodorant, trash bags and light bulbs. There’s convenience and consistency in mass production. But mass production isn’t always a good thing. There are certain products and services that are perceived as having more value when there’s low-batch production and personalization — jewelry is one niche that fits this bill. When a woman shows her engagement ring to friends, she wants to hear people “ohh” and “ahh” over her sparkling diamond. The last thing she wants is for someone to say, “Oh, that’s the same ring I have.” That’s why leading jewelers custom design services as a way to personalize and differentiate. Companies like Diamondere, for example, provide services allowing customers to design custom pieces. The process goes from idea to concept to finished product, allowing Diamondere to stand out in an industry that’s otherwise very crowded. Are there ways you could move beyond mass production and leverage the value of personalization? You may have to think outside the box in this area. Customers want to know that your company values their business. There are plenty of ways you can do this, but one tried and true method is to create a customer loyalty program that rewards people for shopping with you. The classic example that most people are familiar with is Amazon. A few years ago, the company launched it’s Prime membership service, which is essentially a paid loyalty program that provides personalized value in the form of free (and fast) shipping, online video and music streaming, cloud storage and more. More traditional loyalty programs include frequent flyer programs and discount credit cards that can be used with retailers at the point of sale — such as rewards programs offered by department stores like Kohls. Are there opportunities for you to offer personalization in the form of loyalty programs? For eCommerce companies, one of the top things you can do is personalize emails. According to an Experian study, personalized emails have a 29 percent higher open rate and 41 percent better click rate than standard, non-personalized emails. The great thing is that it’s fairly easy to personalize emails. If you’re using an advanced email marketing service, you should have plenty of features already built in. The tricky thing is balancing your approach. Some of the things you can include are names, past purchasing behavior and noted preferences. You’ll want to stay away from using personal financial information or anything that could be viewed as an intrusion of privacy. The goal is to make the customer feel like they’re known, but not exposed. You’ll probably have to tinker around with this until you find the right balance. If you want to provide personalized products and service offerings to your customers, you have to start putting customers first. Stop thinking about everything in terms of sales and revenue. Instead, look at things through the lens of what makes your customers feel valued. 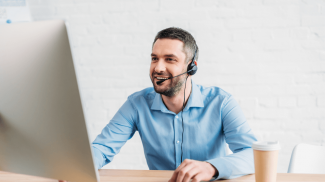 While this may cost you up front, the end result will be better customer satisfaction, a higher percentage of repeat sales and healthier margins and revenue. In other words, you’re making a long-term investment in which the reward is exponentially higher than the input. The key is to really be there for your customers. If you need to do something extra to make them feel special, then do that. It can make a world of a difference. I think the trend in marketing is now moving towards this. It is now all about having a personalized approach. Personalization is the new marketing. It is important to address the needs one by one. People have problems but the problems are different from each other. My company works in an industry where their clients have membership cards. When a staff member uses the clients name it makes a positive impact experience and it shows that the staff member is seeing them as a valued member not just another person in a line. I have been telling people to put the customer first for years, it’s about time someone agreed. I also like the loyalty program and would like to add the loyalty goes both ways. If you expect the client will be loyal to you have to give him a better deal than a random customer that just started working with you. Small businesses want new client so bad that they neglect their “old clients” and lose them. Here at my small B2C business we use sundaysky.com to help with our personalization and we’ve gotten pretty great feedback from it. Makes personalizing and tailoring a video to specific customers pretty great! Awesome article! Excellent article. Interesting to see that still 52% of marketers do not know personalization leads to more sales. This despite articles and knowledge-share like these being readily available on the web. Yes, customer personalisation is key and it is the future. With that in mind we recently founded a company called Jiahu – where we create personalised, handwritten messages using pen and paper for b2b&b2c marketers & loyalty experts in the UK. It helps marketers make their customers feel valued 2.0.